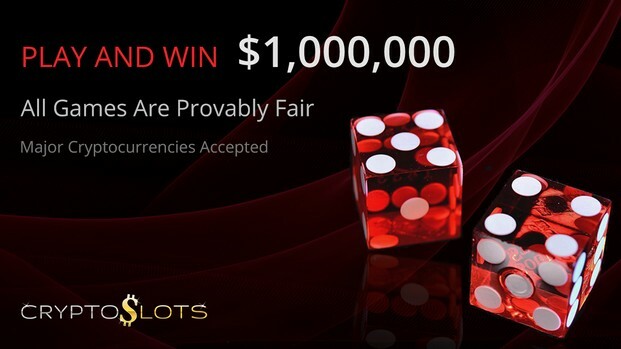 CryptoSlots.com is at the forefront of modern online casinos. As a cryptocurrency only site, all players enjoy maximum security and fast transactions with minimal complications. Players can deposit as much as $50,000 at one time and our high-limit games allow bets as big as $500 per spin. As our affiliate you can earn five figure commission in a matter of hours from one high roller alone! Offer your players a fresh experience which embraces the latest developments in improving online casino playing. All games are Provably Fair, making every game result verifiable. Games include all time favorite slots, video poker, and the unmissable Jackpot Trigger where a single win can be up to $1,000,000! ★ Huge wins of up to $1,000,000! Wise Cryptos only works with trustworthy programs which have quality casinos and Slotland Entertainment hits the mark on both. Our players love these brands. We are All in on Crypto Gambling and Slotland Entertainment is one of the best partners you can work with if you want to promote great Crypto Casino Games. They are always there for you and make sure you have all the promotions material you need and extremely organized when it comes to reporting and payments. Slotland Affiliates is an exceptional affiliate program with a knowledgeable and professional affiliate team that is quick to help their affiliates. This is one of the oldest and most trusted affiliate programs with a track record that is unmatched in the casino industry. They offer three amazing casino brands that are good at retaining players. Also, they are quick to pay their affiliates in the first few days of the month. LCB and Slotland Affiliates have established a very successful relationship that has lasted for over 10 years. Their affiliate system is easy to navigate and our affiliate manager, Jack, is a very responsive professional who is always on the ball, making sure exclusive promotions, promo materials, commission payments and assistance to our large community is delivered efficiently and in a timely manner. We've been working with Slotland Affiliates for almost two years and we've always been impressed. Reliability, exclusive bonuses, on time payments, high conversion rate are just a small part you can get from this Affiliate Program. Our manager, Robert is very responsive and helpful with anything you need.Overall a great partner that we can highly recommend! We have been working with Slotland Affiliates for years now and it's always a pleasure doing business with them. Grace always provides us with top-tier, quality bonuses before we even remember we need them! In addition to being on the ball, Grace is a constant help and we couldn't think of a better affiliate program to work with! We've had the pleasure of being a Slotland and Winaday affiliate for close to 10 years. The affiliate management team have always been highly responsive and helpful. They are timely with their payments to both affiliates and players, and their unique slots, sitewide progressive jackpots, and low wagering bonuses are a great attraction for players. Working with Slotland Affiliates to promote Slotland and Win A Day has been an absolute pleasure. They are one of best and most trusted partners. Communication is seamless and they consistently go out of their way for their partners and players. It's been a honor to work with such an organized and proficient partner and we could not be happier with the excellent service provided.